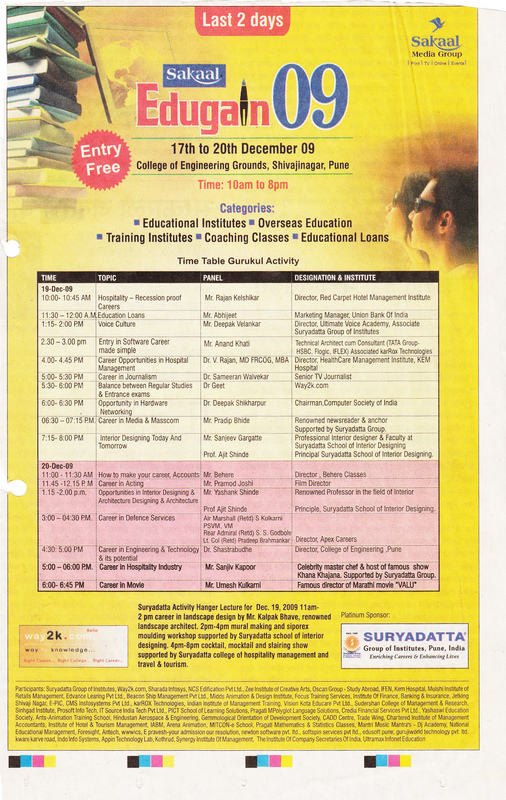 way2k.com, one of the sponsors of the Sakal Education Mahayatra, had Mr.Praful Parekh, an eminent personality in the field of career guidance, talk on career choice and guidance. 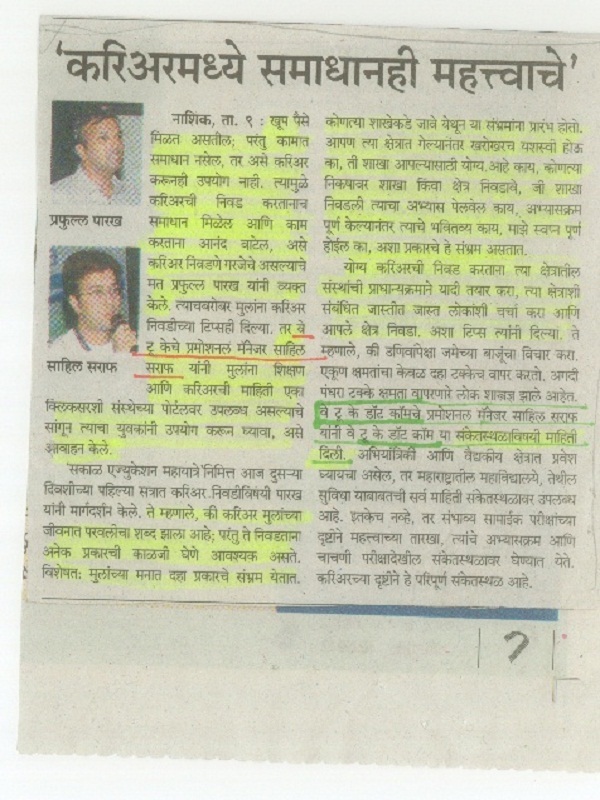 The event was held at Nashik. 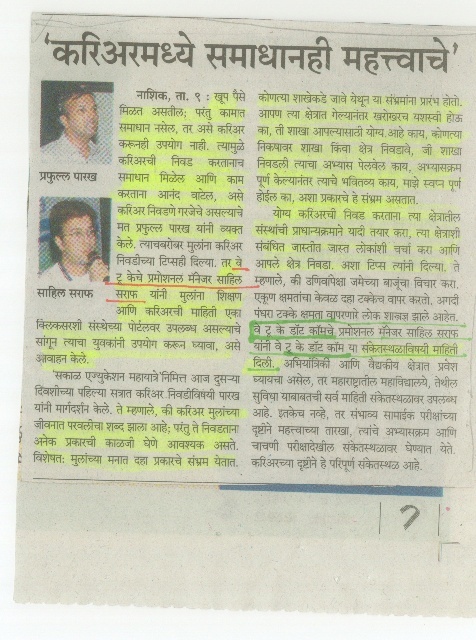 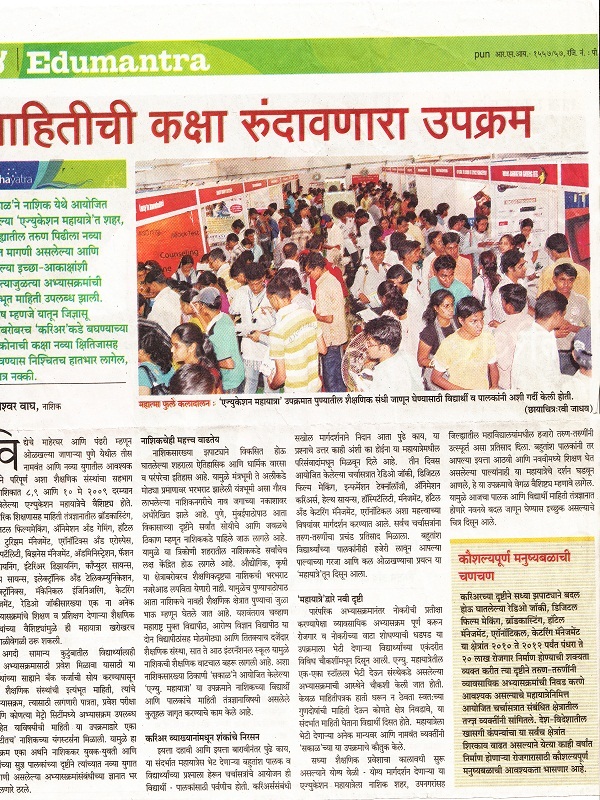 Coverage of way2k.com, as one of the sponsors in the event held in Pune. A Sakal initiative, with way2k.com as one of the sponsors.